Several Disneyland Paris annual passes have dates during the year when access is not included. From the older Passeport Annuels, these are the Classic and Fantasy passes. 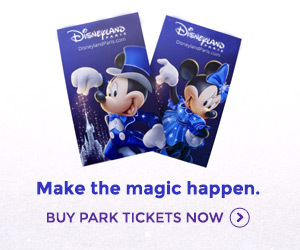 From the new Pass Annuels, available since 2017, these are the Discovery, Magic Flex and Magic Plus passes. The top tier Passeport Annuel Dream (from the previous range, no longer available to buy) and Pass Annuel Infinity grant access 365-days a year. Find our complete guide to Annual Passes here. Available for purchase from 29th March 2017. Pass Annuel Infinity allows access 365 days a year. Part of the previous annual pass range and no longer available to buy. Valid with all applicable benefits and blockout dates until the expiry date shown on your pass. Part of the previous annual pass range and no longer available to buy. Valid with all applicable benefits until the expiry date shown on your pass. Passeport Annuel Dream allows access 365 days a year.